W e’ve long been told that a little wine with dinner may help prevent heart disease and perhaps offer other health benefits. But some researchers are now questioning whether the perks of moderate drinking—one drink per day for women, two for men—really outweigh potential downsides. We know that in older adults, too much alcohol can exacerbate high blood pressure, increase the risk of falls and fractures, and lead to strokes, memory loss, and mood disorders. And in this group, alcohol problems, such as the uncontrollable urge to drink, shot up 107 percent between 2001 and 2013, according to a study published in August in JAMA Psychiatry. Even small amounts of alcohol can interact with medication (see chart here for a list of which ones), and contribute to cancer risk and potentially cognitive decline. More than 100 studies have found that a drink or two per day is linked to a 25 to 40 percent reduced risk of heart attack, stroke, and death from cardiac-related problems, according to the Harvard T.H. Chan School of Public Health. Another study published in August, one that followed more than 333,000 people for 12 years, found that light to moderate drinkers were 21 to 34 percent less likely to die from cardiovascular disease. But no studies have yet proved directly that alcohol boosts human health. Most research in this area has looked at whether people’s reported drinking behaviors are “associated” with positive or negative health outcomes. A growing stack of research also suggests that regular, moderate alcohol consumption may have its hazards. A 30-year study published in June in the British Medical Journal found that men who consumed eight to 12 drinks per week had three times the odds of having an atrophied hippocampus, which is a possible sign of early Alzheimer’s disease. That’s according to the study’s author, Anya Topiwala, Ph.D., a clinical lecturer in the department of psychiatry at the University of Oxford in the U.K.
And other research has found that moderate drinking may be linked to an elevated risk of breast cancer and—especially in smokers—esophageal, mouth, and throat cancers. Although moderate drinking isn’t without risks, a daily glass of wine is generally fine, says George F. Koob, Ph.D., director of the National Institute on Alcohol Abuse and Alcoholism, even if you’re in your 80s or 90s. “We don’t want to panic people,” Topiwala adds. But if you don’t drink, she says, there’s no reason to start for your health’s sake. And if you find yourself exceeding the U.S. Dietary Guidelines, Koob says, there’s no controversy: Consider cutting back. Size up your pour. It can be almost impossible to eyeball a standard drink (5 ounces of wine, 12 ounces of beer, or 1½ ounces of distilled spirits). Some wineglasses can hold up to 22 ounces, more than the amount in four drinks. So use a measuring cup or a shot glass to get it right. Keep tabs. Tracking how many drinks you have per day or week—perhaps with tick marks on a cocktail napkin—can help you stay within your limit. Alternate with water. Sipping a glass of water or club soda after each alcoholic drink will help you slow down. Talk to your doctor. If you’re concerned about your drinking, don’t be afraid to bring up the issue at your next checkup. Note: This article also appeared in the November 2017 issue of Consumer Reports on Health. Can even moderate drinking increase the risk of cancer? Alcohol may be a social lubricant but WHO and Public Health England say it can cause cancer. Last week the alcohol industry was accused of downplaying the link between alcohol and the increased risk of seven cancers: mouth, throat, oesophagus, liver, breast and colon. A research paper in Drug and Alcohol Review found that “responsible drinking” information funded by the alcohol industry tends to push the message that only heavy drinking increases the risk of these cancers. But the paper says the risk starts with low levels of drinking, even though the risk itself is low. So is the recommended number of alcohol units a week – 14 – too high? 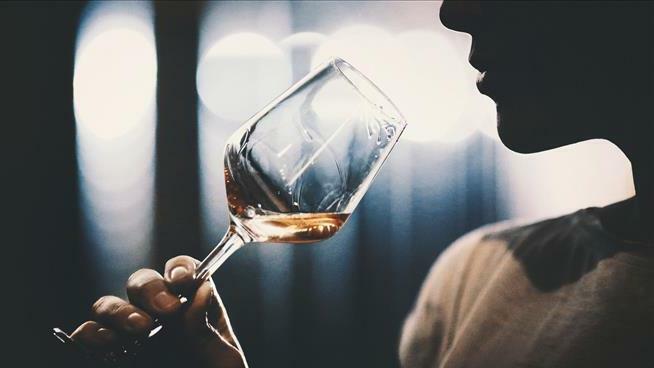 Even less than 1.5 units a day – a small glass of wine – can increase the risk of mouth, throat, oesophagus and breast cancer (in women), according to a UK government committee. While the toll of heavy drinking on the liver and pancreas is well known, the link to cancers, especially breast and colorectal, is less so. There are more than 100 epidemiology studies showing an association between breast cancer and alcohol, the risk increasing with less than one daily glass of wine. Research at Harvard found that while light to moderate drinking was not significantly associated with an increased risk for men (unless they smoked), it did increase the risk of breast cancer for women. There are also individual genetic differences in metabolising alcohol that can increase the risk of cancer. Ethanol in alcoholic drinks is broken down into acetaldehyde, which is toxic to cells, damaging DNA and proteins. Some people have genetic variations that are less effective at getting rid of acetaldehyde, and they may have a higher risk of oesophageal cancer. The alcohol industry is misleading the public by downplaying the risk of cancer through similar tactics to the tobacco industry, researchers say. A study led by the London School of Hygiene and Tropical Medicine (LSHTM) and Sweden’s Karolinska Institutet found the industry is using “denying, distortion and distraction” strategies to minimise evidence. 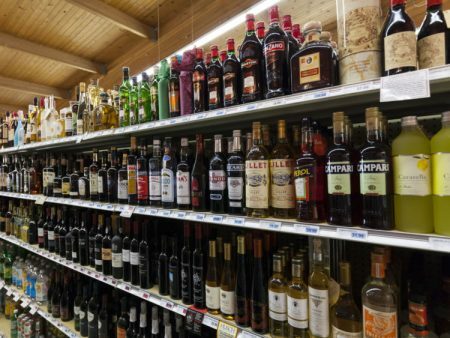 Researchers analysed information relating to cancer on the websites and documents of 28 alcohol industry organisations between September and December last year, finding that most showed “some sort of distortion or misrepresentation” of evidence. The industry most commonly presented the relationship between alcohol and cancer as highly complex, implying there was no evidence of a consistent or independent link, according to the study. Other tactics included denying that any relationship existed or claiming that there was no risk for light or moderate drinking, as well as presenting alcohol as just one risk among many. 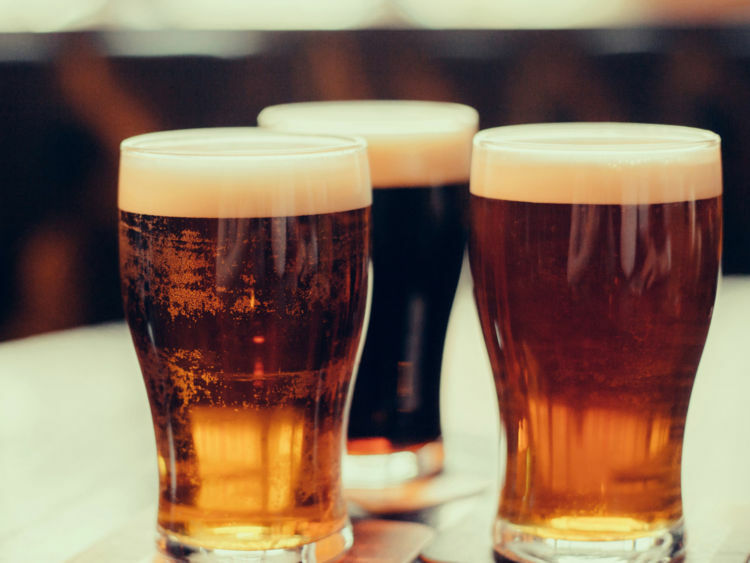 Alcohol consumption is an established risk factor for a range of cancers, including oral cavity, liver, breast and colorectal cancers, and accounts for about 4% of new cancer cases annually in the UK. The latest British government advice on alcohol, issued last year, makes an explicit link between cancer and alcohol. During the consultation phase the alcohol industry challenged the link with cancer. The authors of the report, published in the Drug and Alcohol Review journal, said it was important to highlight that those who drink within the recommended guidelines – not more than 14 units a week for both men and women – “shouldn’t be too concerned when it comes to cancer”. Mark Petticrew, Professor of Public Health at the LSHTM and the study’s lead author, told Sky News: “The information, on balance, across organisations we looked at seems to be quite extensively inaccurate or misrepresents the evidence. “The evidence linking alcohol consumption and cancer is reasonably clear and has firmed up over recent years. The information on these websites, given out by alcohol bodies, appears to be not representing that evidence base, which is quite consistent. Institute of Alcohol Studies chief executive Katherine Brown said: “This report shows that, like the tobacco industry before them, alcohol companies are misleading consumers about the evidence linking their products to cancer. The alcohol industry denied the report’s findings. Chris Snowdon, head of lifestyle economics at the Institute of Economic Affairs, said: “This is a diatribe disguised as a study that seeks to create a false narrative in which businesses always lie and anti-alcohol campaigners always tell the truth. “We need to have sensible and evidence-based information about the risks of alcohol. The risks associated with cancer are not the biggest risks when it comes to drinking, the bigger risks are to do with violence, drink-driving and liver cirrhosis. DEAR MAYO CLINIC: Are there early signs of throat cancer, or is it typically not found until its late stages? How is it treated? ANSWER: The throat includes several important structures that are relied on every minute of the day and night to breathe, swallow and speak. Unfortunately, cancer can involve any, and sometimes all, of these structures. The symptoms of cancer, how early these symptoms are recognized and how the cancer is treated depend on which structures are involved. 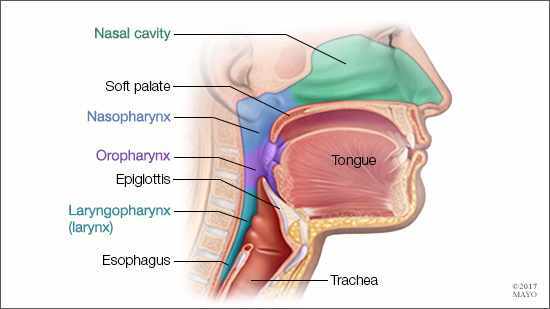 All of the passageway between your tongue and your esophagus can be considered the throat. It includes three main areas. The first is the base of your tongue and tonsils. These, along with the soft palate and upper side walls of the pharynx, are called the oropharynx. Second is the voice box, or larynx. It consists of the epiglottis — a cartilage flap that helps to close your windpipe, or trachea, when you swallow — and the vocal cords. Third is the hypopharynx. That includes the bottom sidewalls and the back of the throat before the opening of the esophagus. Tumors that occur in these three areas have different symptoms, behave differently and often are treated differently. That’s why the areas of the throat are subdivided into separate sections by the head and neck surgeons who diagnose and treat them. For example, in the oropharynx, most tumors are squamous cell carcinoma. Most are caused by HPV, although smoking and alcohol can play a role in causing some of these tumors. Cancer that occurs in this area, particularly when caused by HPV, grows slowly ─ usually over a number of months. It often does not cause pain, interfere with swallowing or speaking, or have many other symptoms. Most people discover cancer in the oropharynx when they notice a mass in their neck that’s a result of the cancer spreading to a lymph node. Eighty percent of people with cancer that affects the tonsils and base of tongue are not diagnosed until the cancer moves into the lymph nodes. This type of cancer responds well to therapy, however, and is highly treatable even in an advanced stage. At Mayo Clinic, most tonsil and base of tongue cancers are treated by removing the cancer and affected lymph nodes with robotic surgery, followed by radiation therapy. This treatment attains excellent outcomes without sacrificing a person’s ability to swallow. When cancer affects the voice box, it often affects speech. People usually notice hoarseness in their voice soon after the cancer starts. Because of that, many cases of this cancer are detected at an early stage. People with hoarseness that lasts for six weeks should get an exam by an otolaryngologist who specializes in head and neck cancer treatment, as early treatment of voice box cancer is much more effective than treatment in the later stages. Early voice box cancer is treated with surgery — often laser surgery — or radiation therapy. Both are highly effective. If left untreated, voice box cancer can grow and destroy more of the larynx. At that point, treatment usually includes major surgery, along with radiation and chemotherapy ─ often at great cost to speech and swallowing function. Finally, cancer of the hypopharynx usually involves symptoms such as pain when swallowing and difficulty swallowing solid food. It is most common in people with a long history of tobacco smoking and daily alcohol consumption. This cancer almost always presents in an advanced stage. Treatment is usually a combination of surgery, chemotherapy and radiation therapy. For example, in the oropharynx, most tumors are squamous cell carcinoma. Most are caused by HPV, although smoking and alcohol can play a role in causing some of these tumors. Cancer that occurs in this area, particularly when caused by HPV, grows slowly usually over a number of months. It often does not cause pain, interfere with swallowing or speaking, or have many other symptoms. Early voice box cancer is treated with surgery — often laser surgery — or radiation therapy. Both are highly effective. If left untreated, voice box cancer can grow and destroy more of the larynx. At that point, treatment usually includes major surgery, along with radiation and chemotherapy — often at great cost to speech and swallowing function. If you are concerned about the possibility of any of these cancers, or if you notice symptoms that affect your speech or swallowing, make an appointment for an evaluation. The earlier cancer is diagnosed, the better the chances for successful treatment. — Eric Moore, M.D., Otorhinolaryngology, Mayo Clinic, Rochester, Minn.
Bristol-Myers Squibb Company today announced that the European Commission (EC) has approved Opdivo (nivolumab) as monotherapy for the treatment of squamous cell cancer of the head and neck (SCCHN) in adults progressing on or after platinum-based therapy. Opdivo is the first and only Immuno-Oncology (I-O) treatment that demonstrated in a Phase 3 trial a significant improvement in overall survival (OS) for these patients. An epigenetic modification may be the cause of 15% of adult head and neck cancers that are linked to tobacco and alcohol use, according to a study published in Nature Genetics. Although the body is made up of a large number of different types of cells––neurons, skins cells, fat cells, immune cells–– they all have the same DNA or genome. It was not until recently that scientists discovered their differences can be explained by epigenetics. “This discovery was absolutely unexpected since it seemed highly improbable that the kind of alterations of the epigenome that we had previously found in other types of tumors in children and young adults could also target an epithelial tumor like throat cancer that occurs only in adults,” said Dr Nada Jabado. There are already some promising drug molecules currently on the market for other diseases that could be tested for head and neck cancers, as well as other cancer types, according to the study. Additionally, the investigators hope that the findings could help in developing treatments for pediatric patients. Dr Jabado’s work focuses on epigenetics in pediatric cancers, particularly on the mutations of the histone H3 protein. In particular, the investigators were interested in a 2015 publication by the Tumor Cancer Genome Atlas Consortium on head and neck cancer that included 1 of the genes that regulates H3. An essential part of the study was collaboration between scientists and access to the vast genomic databases of patients around the globe, according to the investigators. The investigators are hopeful that the results of the study will open a variety of treatment options in the future.